Shakespeare is a pretty cool dude and I think it would be terrible if we didn’t teach his writings anymore. Because he influenced our language, culture, and literacy. He was so inventive and create so many phrases and expressions that we use everyday. Many would say that Shakespeare brought emotion into plays and poems. Most people had to study Shakespeare in high school or college and it gives us grounds to relate upon and discuss. His plays are super applicable to our super dramatic life at school. It can teach us life lessons so we don’t make stupid mistakes and kill yourself over love. Shakespeare is a man who wrote plays and poems. Shakespeare like most famous people came from a trashy little town in England and rode his horse to his work everyday. He quit his job and instead wrote cool plays about love, death, and comedies. He wrote Romeo and Juliet, Hamlet, and a Midsummer’s Night Dream. I’ve watched all of these plays and in sixth grade performed A Midsummer’s Night Dream, I was a narrator and have a DVD of my spectacular performance. I’ve always thought Shakespeare plays are a little weird and super dramatic, but I think it will be fun to read it in class. The good in being able to assess yourself is that you will always be improving. You will know what you are good at and what you need to work on or practice. Self-Assessment could really help the majority of people in our society. It can help them to become better at doing things to the best of their abilities. They could be better employees by asking for help when they aren’t good at a skill and hep others at the skill they know their good at. It can help students know what subjects they need to work on. Self-Assessment is beneficial and should be a common skill. I will dominate fourth term by being freaking awesome. I’m going to do work right when I get it and participate in every class. I’ve done this most every term and succeeded. but last term a couple things piled up at the end and it was stressful to have to finish them all. Fourth term is the last term and my favorite term, but right now I’m doing track, football workouts, and soccer. I really will have to stay focused on assignments and turning them in on time. I know I can succeed, I am a winner and can do hard things. The person who comes to my mind is Spider-man. Spider-man is awesome, he is the best superhero. He has awesome superpowers and a tragic backstory. Most people if they had what he had and went through what he went through they would use the power for fame and money. But he doesn’t he does the right thing no matter what. I imagine that he would tell my friend that it’s more important to be courageous and have integrity than to be uncomfortable, or to be famous, or get money. I think he would really be able to identify with my friend because of what he’s had to do. Honestly I thought there would be more mockingbirds, they only mentioned them like twice. I thought it was a great book, it had lots of important ideas and made me really think about life. Most books I’ve read are all fantasy books, so it was nice reading a different genre of book. I liked how the story flowed from one event to another how it would tell you things at the beginning of the book that would tie into the story again at the end. It really was wrote like it was from the view of scout but had things added to make more sense and explain the story more. In To Kill a Mocking Bird, Atticus is the figure of responsibility and integrity. He tells Scout in chapter 9 that the trial is going to hard on their family. But he goes through with it and plays all his cards to win the trial. In doing so he makes enemies. Even though it’s hard on their family and destine to lose he goes through with it anyway. Atticus does this because he is persistent and always does the right thing. He explains to Scout that if he didn’t try to win the case even though they already lost before it began, he wouldn’t be able to do anything. “Don’t fool yourselves–it’s all adding up and one of these days we’re going to pay the bill for it.” I like this quote because it’s so true. You can’t do anything without there being a consequence. Consequences aren’t always immediate. Sometimes it takes time to really know the mistake you’ve made. In the quote, it’s talking about how white people treated black people. Today there are lots of problems with racial disputes. Another example of this is the debt our county is in, we put ourselves in this hole and we are paying the price. The more we know about problems today, the more we can deal with them before they are too big to deal with. I think it depends on how you would describe a good man. If it is more doing what’s right no matter what than Jem is right. From his point of view Walter Cunningham would of hurt Atticus to get to Tom Robinson. If you think being loyal to your friends than Atticus is right. Walter Cunningham has nothing like the Ewell and probably is worried that they may loose the case. If that happened then his kids would have nothing and be left to fend for themselves. Walter Cunningham probably though that the case shouldn’t even had happened. That they should have locked Tom Robinson up and have been done with it. If you say that you can’t be a good person if you’ve been involved in something like this, then your saying if you’ve done drugs that your a terrible person and can’t do anything about it. According to google courage is the ability to do something that frightens one. Which is true but many people associate with men with guns and fighting other people. But real courage is do what is right even though it may scary you. Another definition is strength in the face of pain or grief. Courage is being scared to death but saddling up any way. that’s a quote by someone but I can’t remember from who or where. More people in this world need to have courage. 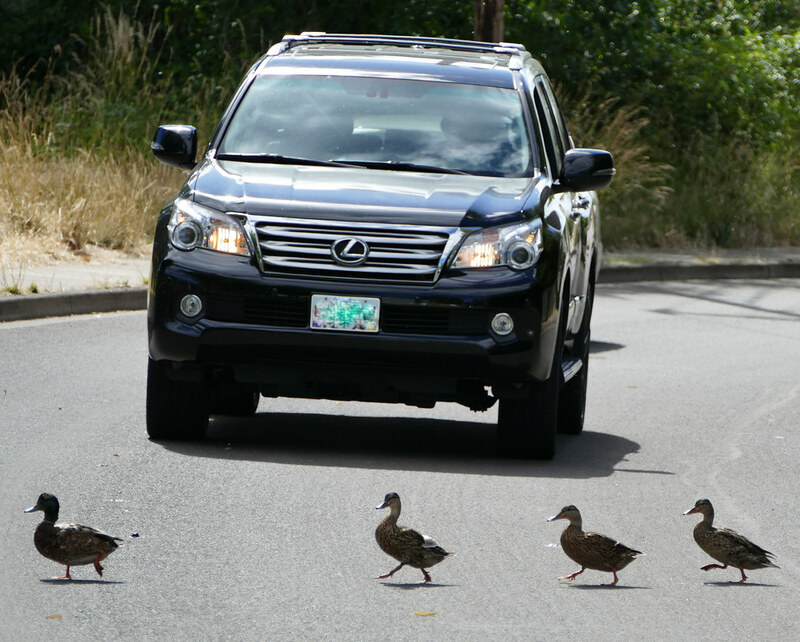 Real courage is ducks crossing the street when they could get hit by a car.